The Trillium Network for Advanced Manufacturing (also referred to as the Trillium Manufacturing Network) is a non-profit organization dedicated to supporting Ontario’s manufacturing industry. Funded through the Canadian federal and provincial governments, the Trillium Manufacturing Network is uniquely focused on helping Ontario manufacturers grow through mentorship and collaborative research opportunities. Recently, the organization was awarded $100,000 from FedDev Ontario’s Investing in Regional Diversification (IRD) government funding program. With this support, the Trillium Manufacturing Network completed and launched TrilliumGIS, an interactive business directory containing over 20,000 members of Ontario’s manufacturing and innovation network. The TrilliumGIS data tool helps companies easily access a visual database of Ontario manufacturers, colleges, and universities. By having such easy-to-access information, manufacturers will be able to find similar companies or suitable academic institutions to collaborate with. This platform is likely to have a significant impact on Ontario’s innovation ecosystem. The Trillium Network for Advanced Manufacturing was established in 2015 based on recommendations from the Lawrence Centre’s ‘Future of Canadian Manufacturing’ research. It identified a need for greater collaboration among Ontario’s manufacturers to increase global competitiveness; however, few support systems were in place to facilitate this. Business-to-Business Mentorship: In collaboration with the Business Development Bank of Canada (BDC) and other partners, the Trillium Manufacturing Network helps business access mentorship support through Ontario Global 100. Investment Attraction: The Trillium Manufacturing Network is well-connected to federal and provincial partners. As such, they understand the needs of Ontario’s manufacturing sector and work to attract investment from the types of businesses that have long-term strategic interests in the province. Educational Partnerships: Supporting collaborative relationships is a key strategy to build Ontario’s manufacturing industry. As such, the Trillium Manufacturing Network has developed a free, open-source TrilliumGIS geo-mapping software program where businesses can explore other companies or academic institutions to partner with. The Trillium Geographic Information System (TrilliumGIS) is an online directory of Ontario’s manufacturing and innovation network. It provides an interactive map of Ontario displaying over 20,000 manufacturers and research institutions throughout the area. This helps companies find products, services, businesses, and research institutions in less time and with much more information than previously possible. The Trillium Network for Advanced Manufacturing is committed to update the directory and enhance the tool’s performance every six months, so this will continue to be a valuable business resource well into the future. The TrilliumGIS platform is free to use by businesses; however, users must first register for a free account. Registration only takes a few minutes via the TrilliumGIS website and does not request data about your company. Once registered, navigating the TrilliumGIS platform is relatively straight-forward. If you’re curious about how to get the most out of the tool, watch the following video to learn more about filter tools and other ways to visualize the data. Ontario-based manufacturers have many tools and resources available to support strategic growth projects. 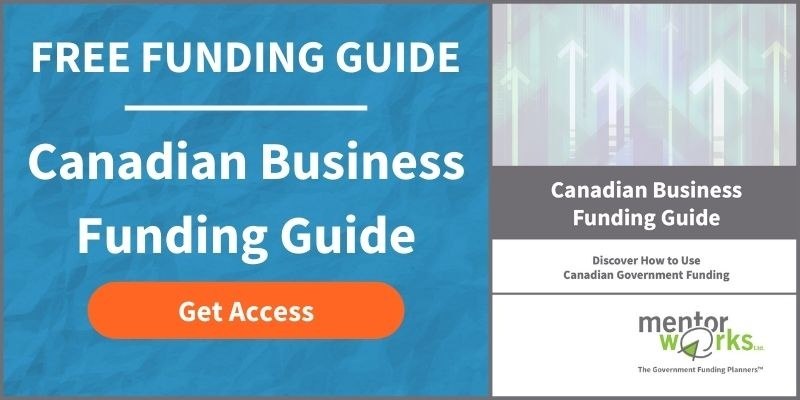 One of the most popular resources to help companies implement these initiatives is the Canadian Small Business Funding Guide. By downloading this white paper, companies can learn about Canadian government funding to offset the costs of collaborative research projects.